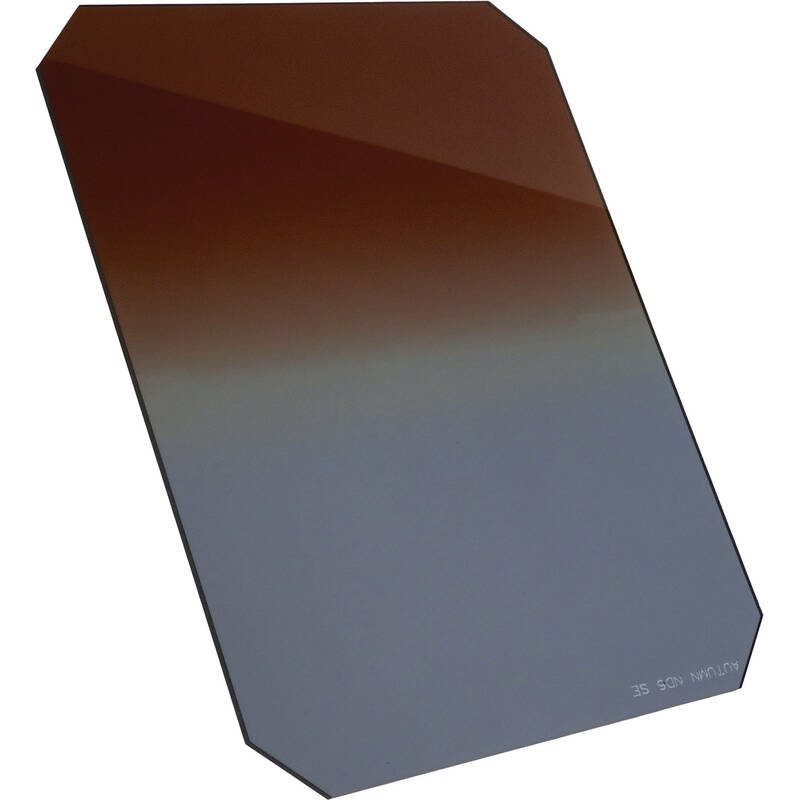 The 85 x 110mm Autumn #3/ND 0.3 Hard Graduated Combo Filter is a combination of both an autumn #3 and a 0.3 graduated neutral density filter. There is a hard-edged, 0.3 density for controlling skies and other bright areas of the image. The autumn #3 filter is a graduated filter that blends tobac into yellow, helping to enhance the colors of foliage and provide an autumnal mood to your photographs. This filter measures 3.35 x 4.3"/85 x 110mm and is compatible with the Cokin P filter holder. The 0.3 density provides a 1 stop reduction in light from entering the lens. Combination of both an autumn #3 filter and a graduated neutral density filter. Hard-edged 0.3 ND graduated filter for controlling skies and other bright areas of the image. Autumn #3 filter is a 2 color filter, blending tobac into yellow. It helps to enhance the colors of foliage and provides an autumnal mood to you imagery.